Kick the new year off on a healthy foot by resetting your sweet tooth with a Sugar Free January 2019! Last year was my first time attempting a Sugar Free January. You can read all about my experience HERE. In a nutshell, I enjoyed my first SFJ, and I’m doing it again this year! For me, Sugar Free January is a temporary tool to help you reset your taste buds after the holidays. I feel like the sweet foods creep in starting in November, and the sugar monster comes out to play. The thing about sugar is: the more you eat it, the more you crave it. What Are the Rules for a Sugar Free January? The beautiful thing about Sugar Free January is the ability to adapt it to fit your personal needs. There’s no judging about your choices, and no shaming if you make mistakes! Cut out all sugar that doesn’t come in a whole food form (AKA white sugar, brown sugar, honey, maple syrup, sucanat, stevia, etc.). Basically, only eat things that are naturally sweet such as fruit. Dried fruit is also out since the sugar is more concentrated than what you would naturally get from eating a whole apple or a bunch of grapes. The challenge starts on January 2nd and ends on February 1st. Last year I also tried to cut out refined carbs a few days a week. Since I’m pregnant with our third child, I’m not going to try to cut back on carbs this year. I feel like I’m in greater need of them! If you want to join in, you can totally make your own rules! For example, you may want to cut out only the super processed forms of sugar such as white sugar, brown sugar, powdered sugar, etc. Even if you still consume honey or maple syrup you’ll probably be eating a lot healthier since you’ll have to cook the majority of the food yourself (instead of buying prepackaged cookies, for example). Or you could cut out half of the sugar in every recipe you make. You could also just go sugar free until the weekend. Or, if you already eat a really low sugar diet, you might want to try cutting out the more sugary fruits such as bananas for 30 days. Make this challenge your own! A word of warning: This is not for the faint of heart. If you’re going super strict and cutting out honey, maple syrup, and dried fruit, you might have sugar withdrawals. I know I did back when I did my Whole30. But it was so worth it since it showed me how addicted to sugar I was and how it’s in EVERYTHING. Just be prepared for it to be HARD for the first week. It gets better, I promise! 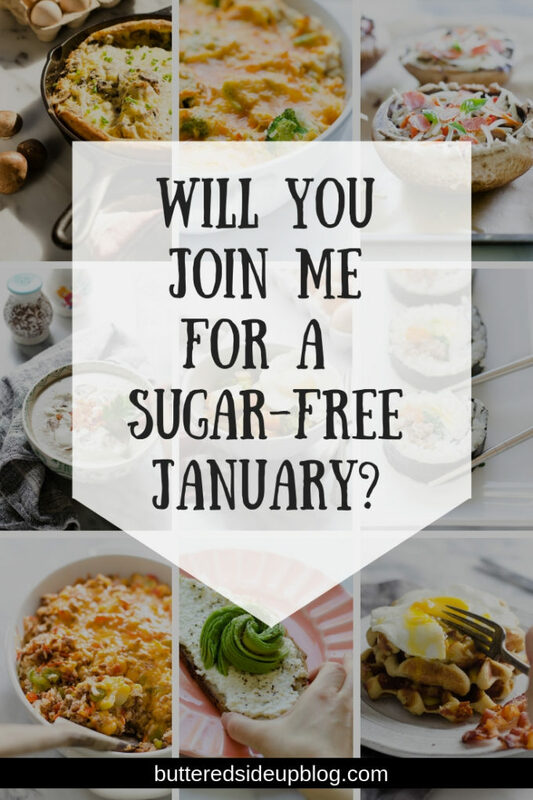 If you’re interested in participating in a Sugar Free January 2019 or if you have any questions, make sure to leave me a comment! Wow Erica. That is indeed a challenge. 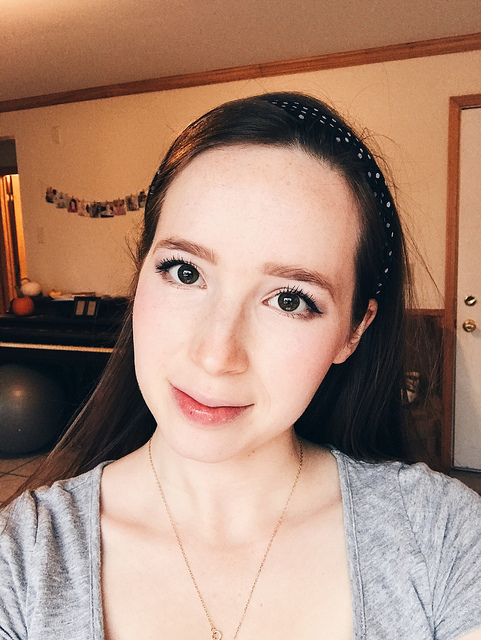 Love, love, love your blog. Yes! I did this for the first time last year and am so thankful I did. I’m planning on tweaking it from my experiences last year. I’m keeping my start date of Jan. 2 – I don’t want to deny myself a glass of champagne of New Years Day. Im going to stick with honey and maple syrup as sweeteners but strive to use less. I will cut back on refined carbs also. Not saying I’ll do it all perfectly but it helps to,strive for it! What a challenge indeed! Love, love, love your blog Erica. Merry Christmas. I accept the challenge/invitation!! This is a good motivator for me as I really don’t have a sweet tooth – however due to excess treats over the holidays sugar has crept in via gifts of chocolate, advent calendars etc!!! I need to focus and get on track again on my weight loss journey. So thanks Erica!! I shall have a review of your posts, and decide on some recipes! I’m feeling very bloated and unhealthy due to having gut problems and a recent course of antibiotics so this will totally help me focus! Love a challenge! I’m in!!! I so need to get back on the no sugar track!